Mike Sirkin has substantial trial experience, including with valuation issues, having represented respondents BMC Software, Lender Processing Services, and Solera Holdings in three of the largest appraisal trials in history. In BMC and Lender Processing, the Court of Chancery awarded appraisal petitioners nothing more than the agreed-upon merger consideration. In Solera, the Court of Chancery awarded the merger consideration less synergies. 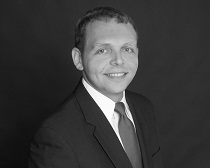 Mike has spent his career litigating corporate and business disputes in the Delaware Court of Chancery and Supreme Court, with a special focus on cases arising from mergers and acquisitions, including appraisal cases and cases involving the fiduciary duties of directors and officers. Mike also advises clients about the Delaware law and corporate governance issues that arise in a variety of transactional and litigation contexts, including special litigation committee investigations, pre-suit demands, conflict-of-interest transactions, books-and-records requests, and inside-round financings. Mike recently represented Kinder Morgan, Inc. and Signet Jewelers, Ltd. in merger-related class actions. In both cases, the Delaware Court of Chancery denied the plaintiffs' motions to enjoin the challenged transactions and granted the defendants' motions to dismiss, and the Delaware Supreme Court affirmed the dismissals on appeal. Mike was also part of the appellate team who successfully obtained reversal of a $142 million post-trial judgment against an affiliate of Kinder Morgan. In addition, Mike has recently represented defendants, including the Facebook Board of Directors, in lawsuits in the Delaware Courts challenging the compensation paid to corporate directors and executives. Mike is a frequent author on Delaware law issues. He has published articles in The Business Lawyer, The M&A Lawyer, the Temple Law Review, Insights, and Deal Points, and has spoken on panel discussions sponsored by the Private Equity and Venture Capital Subcommittee of the Business Law Section of the American Bar Association and Thompson West. Mike began his legal career as a judicial law clerk to the Honorable Vice Chancellor J. Travis Laster of the Delaware Court of Chancery. After his clerkship, he practiced in the Corporate and Business Litigation group of Morris, Nichols, Arsht & Tunnell LLP before joining the firm. Mike has also participated in the Delaware Volunteer Legal Services Pro Bono Program, successfully obtaining protection from abuse orders for clients in Family Court. Outside of the firm, Mike is active in the Delaware State Bar Association and the American Bar Association, and he is a Director and former President of the Lehigh Lawyers Association. Delaware Court of Chancery Applies Entire Fairness in In re Nine Systems Corporation Shareholders Litigation: A Sequel to Trados or Something Different? Let the Seller Beware: The Seller’s Attorney-Client Privilege Passes to Surviving Corporation in a Merger Under Delaware Law. Mike Sirkin publishes lead article in The Business Lawyer with Delaware Supreme Court Justice Collins J. Seitz, Jr.